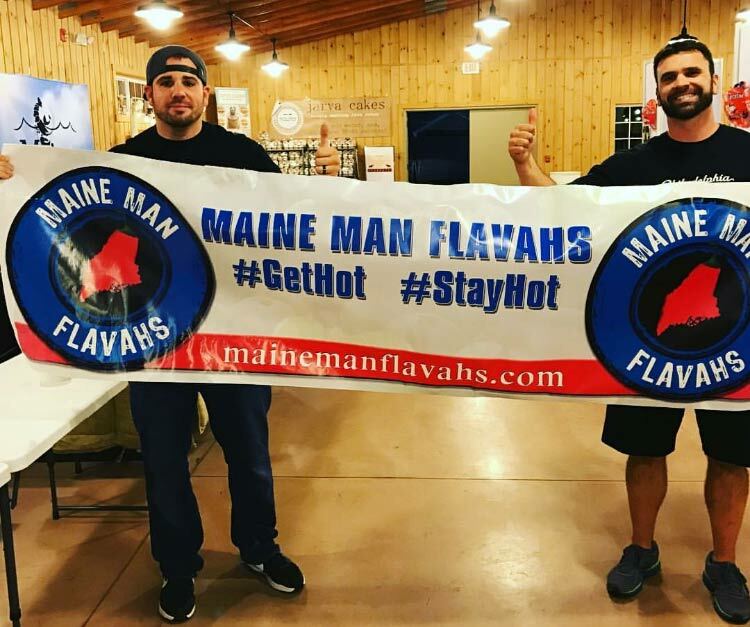 Maine Man Flavahs was started by two small town boys with Spicy Palettes! Co-owner/creators Ben Lankhorst and Brian Hallett have combined the flame of the habanero pepper with the delightfulness of the Maine blueberry for a unique table sauce unlike any other. Using mainly Maine products, their blueberry habanero hot sauce cranks up the temperature while capturing the essence of Maine. It has an inviting initial burst of sweet Maine blueberry then leaves the palate scorched. You will fiend for more of the sweet heat!! This hot sauce is for real! !